For this assignment we were supposed to video an event or something that was going on in which we decided to video the territorial prison event as they were celebrating 150 years. We went around the event and got video of a few different perspectives being, inside the prison cells, kids that were enjoying the event, an interview with a worker there and an interview with the regional leader. I enjoyed learning about the prison and an important historical place for Laramie and Wyoming as a state. I have lived here for five years and had a historical building right by my house and never knew it, it was great to not just visit this site but be able to interview and talk to people who know this site very well and to get educated about it from the right people. I didn’t enjoy the fact that adobe premier wouldn’t load our videos because the format wouldn’t cooperate with the application. It surprised me how hard it was to get different, effective angles on an interview and just of getting shots of the surrounding areas. I didn’t think lighting was going to be that big of a factor because it was sunny and made me think the lighting would be great, when in-fact it made it hard to get a good angle. I wish I would have asked the people to maybe pick a different spot to interview in, and also ask if it was okay to get closer up on the kids, when videoing them. I personally don’t really see myself using video in my future career unless my career was to change and I eventually took this route. But I do see myself videoing events better, using these skills with my kids one day after sporting events, get some action footage of them and then capturing an interview from them afterwards. I do not really know if I will pursue a career where I am using video but I know it will come in handy when I have kids and being able to make fun videos for them. Before getting into this class I was excited to start up with a lot of different things and trying to learn new things. When finishing up with this course one production skill that I was expecting to learn was the interviewer side of interviews. I have always been on the other side and experienced getting interviewed and always wondered which was harder to do. After having done both now, I say that conducting the interview is harder than being interviewed. I expected to learn how to properly interview someone and how to have be confident in what I am doing/saying as in the same way I would in things I am good at. Generally speaking I don’t think that I gained confidence in conducting an interview on someone but I now have a better understand on how hard it can be to do so. Most people think it is easy because you just have to ask questions but when nerves and anxiety kick in it gets harder. Coming into this class my interpersonal skills were the one thing that I knew I was really good at. After doing these assignments and completing this course I know that I got better at making connections in complex ideas. This course took me out of my comfort zone and made me figure out what I was going to do to, so I could do well on my assignments. These skills will help me a lot in my future I think, because I will eventually get put into a situation that isn’t ideal for me and figure out how to get the job done correctly and effectively. Though I don’t think I will be in this field of work, but I know I would still be presenting with a hard situation where I have to perform well and figure out what I need to do. The assignment I enjoyed doing the most was the interviewing assignment. The reason I enjoyed it so much was because I finally got on the other side of something that has been happening in my life for years. I have always enjoyed getting interviews and never turned them down because I knew they needed me and I enjoyed doing it anyways. But I always wondered what it was like to be on the other side of the process. The one that I liked the least was the Information visualization, though I think it was a useful skill to learn how to use. The reason I liked this one the least was because it took the most time and confused me along the way, I thought I did well on it when I turned it in but the process it took me to get to the turn in point was extensive. If I could go back in time and give myself advice about this course I would tell myself to listen to all the details the the teacher and guest speaker talk about. Whether it was about the upcoming assignment, past assignments or just subtle details. 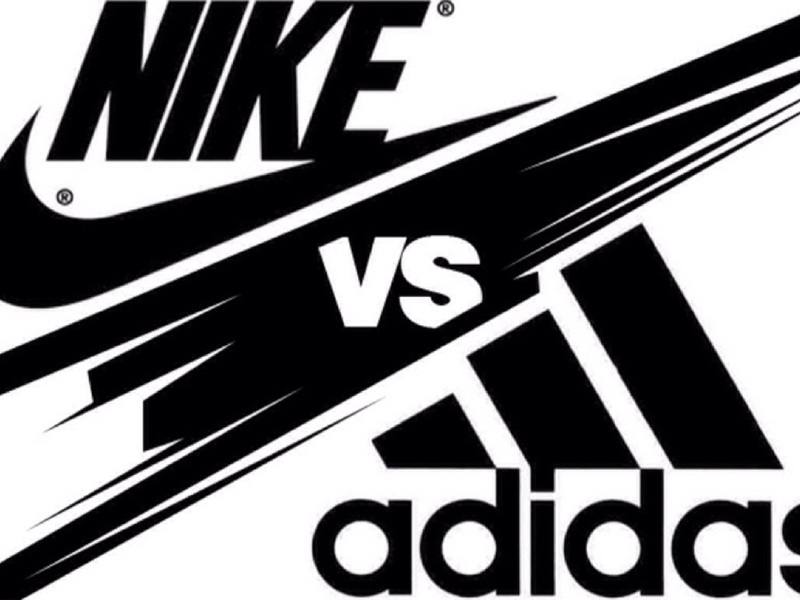 The purpose of this blog post is to compare these two companies (Nike and Adidas) to see the difference between the way they reach out to their followers and the public. I am planning on finding the things that are similar with each other, what different and what they do that is ineffective and effective. There are a couple of reasons behind me choosing Nike and Adidas, one; being an athlete my entire life you see these two companies everywhere and know that they are the leaders and big shots in this area. Also they are huge companies known world wide for what they do inside and outside of athletics, so I knew going into this that they should have every social media outlet listed. Both organizations Nike and Adidas are on all of the social media outlets (Twitter, Facebook, Instagram, Snapchat, Pinterest and LinkedIn. All of their social media accounts looked the exact same with Nike having more followers consistently on all formats of social media with Nike’s Instagram account hitting 77 million followers while Adidas was just under 20 million. The accounts seemed very active with their posts and had a lot of famous athletes and celebrities staring in posts and on their pages. I think the branding message was consistent across all the forms of social media accounts for both companies. Promoting their apparel and shoes through showing the material by itself, on an athlete or celebrity and just showing it on a model or regular person. I don’t really know how pinterest works so I could be wrong with that and could have miss read it (Adidas pinterest page). From my understanding both companies main purpose of using these social media accounts was to promote their materials and their brands through real “normal” people and famous people. I also noticed that they use a lot of visual effects for what they do, whether it was a video or pictures. Considering that these two organizations use social media just the same I saw the same effective and constructive material used for both of them. One thing that both organizations did well was make a stories in videos and post them up, usually fairly short videos but enough to make you remember the company after watching it. Anther thing they did well was adding different things on different social media outlets, though you could find some of the same of other social media. The thing these company did best at was promoting their products, just after going through all the social media accounts and watching videos and looking through pictures made me want to get a pair of new shoes in both; Adidas and Nike. A piece of advise that I would give is that they should engage with their audience more; answer comments, do give away and maybe post more pictures/stories of the normal majority of people using your product. Networking with other companies that are in their field, they might do this behind scenes but they weren’t following each other on social media accounts which was a surprise to me. The last thing I would give advice about is that they should do more of what they did on their snapchat. On snapchat they had people using it to show normal people and what they are doing at the “Adidas event.” I know they cant just give their passwords away to an account that has millions of followers but maybe have someone interview a normal person and ask what they love about the brand and tell a little story with it. What I learned from the presenters that came in was, that the videos or pictures that we see on big brands social media outlets arent just a snap and go picture or a 2 take video. These videos have hours of production behind them and for the picture that you see that looks just perfect, there may be a couple hundred others that were not. They offered their perspective which I never really thought about. They are just normal people like you and me trying to do their job, they spend hours doing what takes us only a couple of minutes to look over. It may look easy to get the videos, stories or pictures that are presented to us but after meeting with these people I realize the work that goes unseen by the viewers. 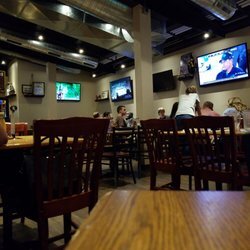 After living in Laramie for the past 5 years I have gone to many of the restaurants around town. I have always been a traditional American food guy, burgers, wings, steaks and sandwiches. 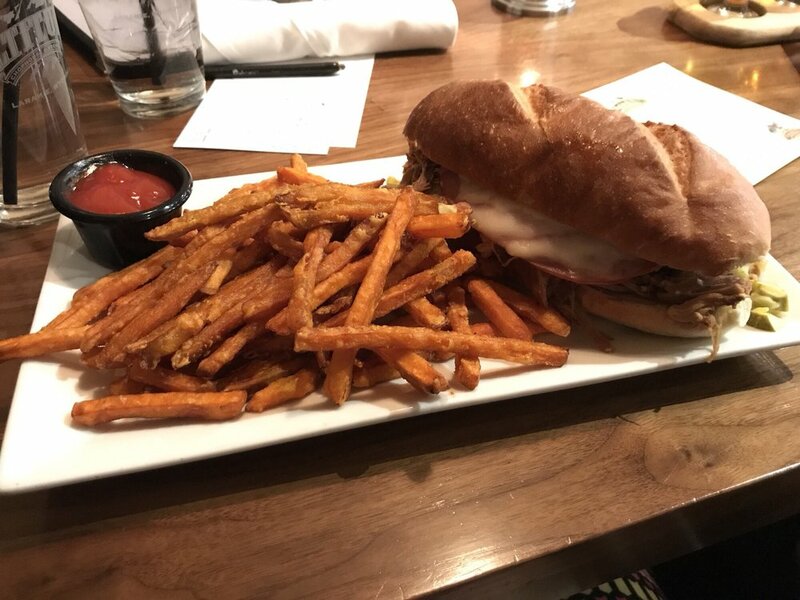 With commonly ordering these off the menu, you eat a lot of french fries, after eating so many fries I began to list which ones I thought were the best around. Below is a list of the restaurants that made my list for top fries in Laramie Wyoming. It may be a surprise that the fast food restaurant is making the list of best french fries, but as many people may know McDonald’s is known world wide for their delicious fries. McDonald’s crispy, thin, greasy and salted french fries are something that other fast foods couldn’t perfect the way that McDonald’s did. You top this off with the low cost for the fries and you have yourself one of the best fries offered around. 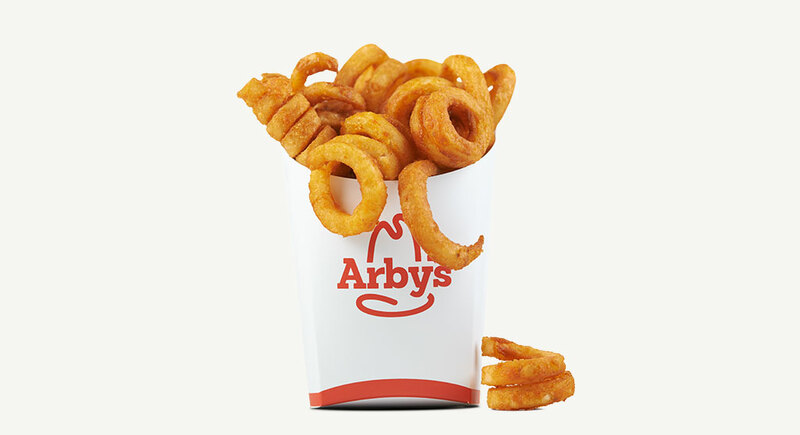 When it comes to Arby’s the first thing that comes to mind is the curly fries. Though Arby’s didn’t master the normal fry like McDonald’s they made an almost better alternative with the curly fry; a fry that is curly, crispy, greasy, has a little spice to it and one of a kind. Chance Miller a student at the University of Wyoming was asked his opinion about McDonald’s fries and Arby’s fries. “McDonald’s fries might have a better taste to them, but the Arby’s fries are unique and have the company of Arby’s on its back” said Miller. The McDonald’s fries could be even when it comes to the taste, quality and flavor but when you add in the uniqueness of the Arby’s curly fry, you have a fry that slides into the #5 spot of best fries in Laramie, Wyoming. The Library is the first local restaurant to make it on the list of best fries, within the last year they removed their waffle style fries which I think brings them lower on the list. Though the fries taste the same now as they did before the uniqueness of the waffle fry made it one of a kind, now they have changed over to a curly style of fries. These crispy and thick curly styled fries make for a great addition to any meal. 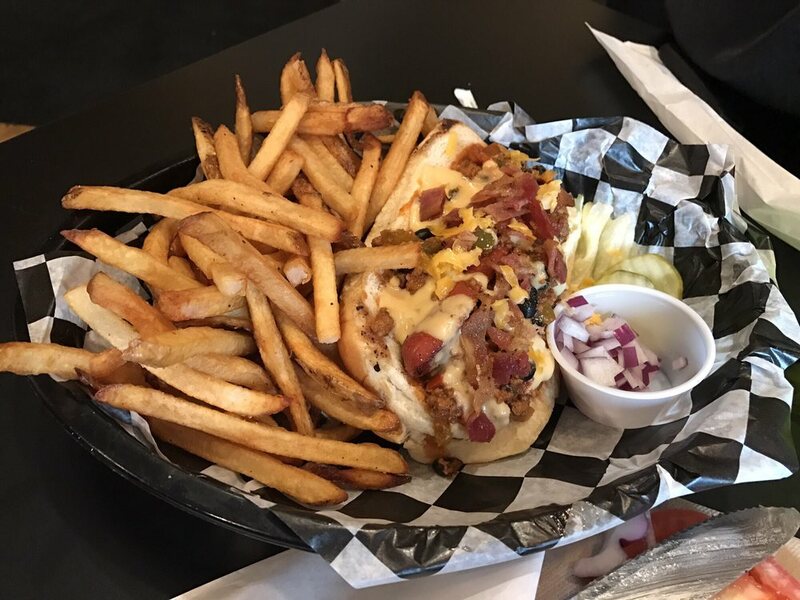 “The library has a great menu of food, maybe one of the best in town; their fries are cooked really well and to perfection but the waffle fries were a classic in my opinion” Miller stated. About 500 feet away from The Library lies Altitudes Chophouse and Brewery. Altitudes is the most pricey restaurant on this list but the food behind the price speaks for itself. This restaurant is know for its steaks, rib eyes, prime rib and ribs a typical steak house menu. But its not a traditional steak house with out french fries, these entrees are served with a large side of french fries. The fries are prepared with beer batter deep fried and cooked until crispy golden perfection, the fries are a nice long and thick styled fry that has amazing flavor. “Altitudes is a great restaurant, I would go there more often if it was in my price range. The steaks are the best in town, the fries were good but I mainly remember the steak from my meal there” Miller said. Born in a Barn is a small local restaurant located at the edge of downtown Laramie it’s a bar and a restaurant in one. Born in a barn has a traditional American menu with their famous wings bringing in a lot attention to the bar, but you can’t have wings without french fries. Born In A Barn offers 2 different sizes of fries, either a side of fries or a basket of fries; fries are cooked crispy, shorter, salted and still have the potato skin on to add some traditional value to them. If you weren’t in the mood for wings with a side of fries you can try the loaded nacho fries, a fan favorite also. The loaded nacho fries are a basket size of fries topped with chili, beef and beans and shredded cheese. The normal fries are enough to make them in the top fries by itself, then the unique option of the loaded nacho fries makes for an easy selection for the number 2 best fries in town. Crowbar and Grill is located about 300 feet East of Born In A Barn on the same street just at the other end of the block. Crowbar is known for two things, its pizza variety and its Pad Thai fries. Everyone who eats Pad Thai fries understands why these are in the number 1 spot. They fry up thin, small, crispy french fries and top them off with Pad Thai sauce, peanuts, green onions and a lime to squeeze across the top. I am sure there are other signature items added into this delicious entree but those are the obvious ones. This is all served on a full plate in which you can make your full entree or you can share and make it your appetizer. “Any time I go to Crowbar I get Pad Thai fries, whether it be for dinner or a snack at 1 am after leaving downtown” Miller said. These fries are a fan favorite and you will understand if you go try them for yourself. Luckily the top 4 fry restaurants are all within a mile of each other, so if you were interested in sampling these fries out yourself it is all in walking distance. This interviewing process was a great experience for me, being on the wrestling team I always got interviewed but never been on the other side of it and interviewed a person. It was a lot harder than I thought it would be, for some reason I got nervous and the questions came out a little different than what I planned originally. Knowing that my voice was going to be recorded on the interviewing side made me nervous because I don’t really like to hear my voice, but it doesn’t bother me being recorded if I was getting interviewed, it was a weird feeling. I thought it would be hard to come up with questions off of what the person was saying but it wasn’t, I thought it was easy; listening to what they said and then being able to pull something out and branch a question off of it. The audio editing was the fun part of this assignment thought, being able to go through and delete things but making sure it still sounds clear and makes sense was a challenge but a fun one. There was times when I deleted a segment, played it back and realized that it didn’t match up so I brought it back in and found a different part to delete and edit. The really exciting part was when I finished editing the whole thing and then went back and listened through my work and was satisfied with what I did. The thing that surprised me from this assignment was how easy it was to edit an audio file the way that we did. I figured it was going to be harder and wouldn’t come out as clear as it did, but it worked out great and sounds really good with a couple of minor editing mistakes. I wish that my phones voice recorder had to option to save the file in a different format than the one provided. It was a hassle trying to figure out how to convert the audio file to the “WAV” format from what it originally was saved under. It took me a while to figure out how I’m going to do it then I found a website that helped me get it done with no problem. In the future I don’t see myself using audio recording that often, but there are some cases where I think it may come in handy. Some of my friends make music and beats and use this audio editing process a lot with audacity , now I understand what they are doing and could offer some help and insight on how to edit and things to do and don’t do in the process. This picture in my dog Jocee, she is an American Staffordshire Terrier. Her and I went for a walk around the lake near my girlfriends families house, I thought it was a nice day out so I decided to take a picture of her with the lake as my background. I dropped down to a knee in front of her and began shooting and picked this one as my favorite. The creative devices used in this photo would be focus, color and possible viewpoint. I learned that it is a struggle to take a good portrait picture of a dog that keeps moving around. I made my way to the University Of Wyoming Diversity Ball at the beginning of the of February where I was able to capture this photo. There are a variety of people in this photograph the obvious ones are different than I am. In the bottom left you will see an elderly man, he is different because he is quite a bit older than I am, the dancers are the center of the picture and they are different than me because I don’t know how to dance and I wouldn’t be able to do it in front of all those people. I think this photojournalism category is a bit of “sports action” it is centered around the dancers which could be considered a sport. I would say that the creative devices used in this picture are both “create depth and viewpoint.” I learned that it is hard to get a really good picture of an event with a cellphone camera if the lighting isn’t what you want/need and that sometimes flash on or off doesn’t make a difference. For pictures three and four I tried to express the same issue within an event but at different times and different perspectives. The third photo is of Sam Eagan a wrestler for the university getting his hand taped prior to practice. The fourth picture is of wrestlers (named bottom-top and left-right) Montorie Bridges, Kyle Pope, Sam Turner, Luke Paine and Sam Eagan all stretching and recovering after a practice. I picked these two perspectives because the third shows you the prevention and precautionary side of the sport also it is angled to be from the trainers viewpoint. The fourth one shows you the healing and recover side of the sport done through the athletes perspective. Both pictures would be considered “sports feature” for the photojournalism category. Picture three would be “viewpoint” for the creative devices used and picture four could be “leading lines” and also “viewpoint.” When photo three was taken the trainer was taping Sam’s hand so I jumped over the trainers shoulder and started taking pictures of what he was doing and when picture four was taken the team was stretching and recovering after practice so I ran over and got in a few different positions taking a lot of pictures. After doing this I could see how it could be made awkward or uncomfortable, especially when you don’t know the photographer I learned that it is easier said than done. Luckily these people knew me so I felt comfortable taking pictures of this and they also felt comfortable doing what they were doing which made for natural photos. Montorie Bridges, Kyle Pope, Sam Turner, Luke Paine and Sam Eagan stretch and recover after a hard practice. The sounds of loud music playing in the background, the smell of food floating in the air, people laughing, smiling and talking over whelms the area, dancers taking over the floor space and people dressed in suits and dresses take over the space like a river. These are the sights and senses of the diversity ball. This event of MLK week and Black history month had much to offer, it had guest speakers, dancers, food, music, knowledge about diversity and a diverse population. With it being called the “diversity ball” it lived up to its name. The room filled with conversations and laughter filling the air; this event is more than black history month it is about bringing people together and joining different groups to make one. “To make some new friends and get out and to see a different culture.” This group of people interviewed shows the diversity of this event Alejandra is a Hispanic American student, Kendal is a white American student and Adhikari is a student from Nepal a country in Asia. With this event being during MLK week and being in black history month a question regarding Martin Luther King was also asked, what were you taught about MLK. “Being from Atlanta, I know a lot about him and he was very much in our school system and we spent around 3 days talking about him” said Kendal while Alejandra had a little bit of a different view on this question. “The first thing I was taught was the ‘I have a dream’ speech and that he was a great figure for civil rights, and being Hispanic being taught that he work along side with Cesar Chavez and it was just really cool to know that these two are common figures and minorities and making big strides.” Though these two woman are from different backgrounds, have different views taught about MLK, they came to the same event. With this event being in black history month and having a diverse population, you cant help but notice the slight lack of the African American population attendance. Bringing up the question of ” what do you guy think about Black history month” with most of the population not falling underneath the months celebrated culture this question could make for some interesting view points and perspectives. Cole Carpenter is a student at the University of Wyoming and also apart of the UMC (United Multicultural Council) and when asked this question he responded. 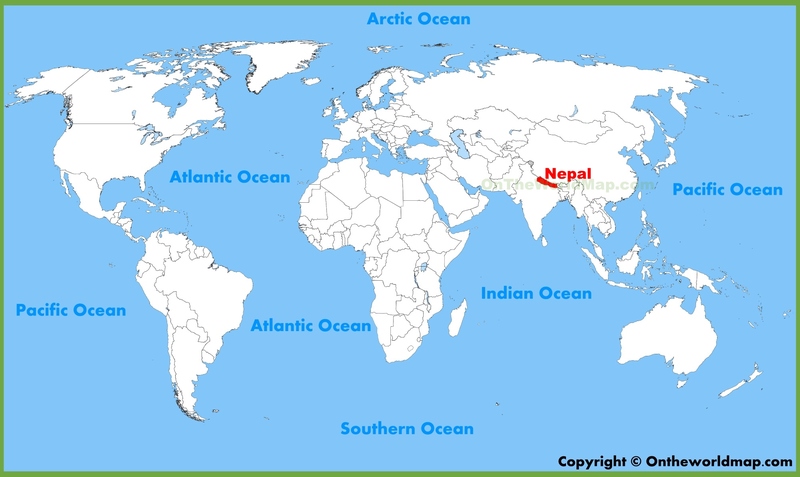 “I think that it is really important to celebrate that part of our history.” Adhikari was also asked the same question . “Honestly, I haven’t read much about it” with him being from a foreign country in Asia this isn’t something that he was taught growing up the way that we are in America. February being a month to learn about another cultures history in America, the University of Wyoming used the last few days in January and the first few days of February to host events in which you can attend and educate yourself on the diversity of America. “I think that there needs to be more events because one week isn’t enough, especially in Wyoming and I think it is great that we have something to celebrate black history but there’s not enough of it” said Kendal while friend Alejandra also agreed with her statement. With the diverse dances, music, performers, dishes and people this event was a night filled with emotion. All that were in attendance seemed happy and excited for the night and attending the ball, the people dressed nice and enjoyed what was being provided for them at the event. With Martin Luther King JR. day being at the end of January there were multiple events that led right into the final big one, which was held the night of February 3rd in the union ballroom on the campus of the University of Wyoming. “The diversity ball was an event well done”, said Carpenter and that lived up to its name and ended MLK week with style and diversity.